The abundance and diversity of marine life in Zavora, both in terms of mega and macro fauna, make this bay a unique place to dive. 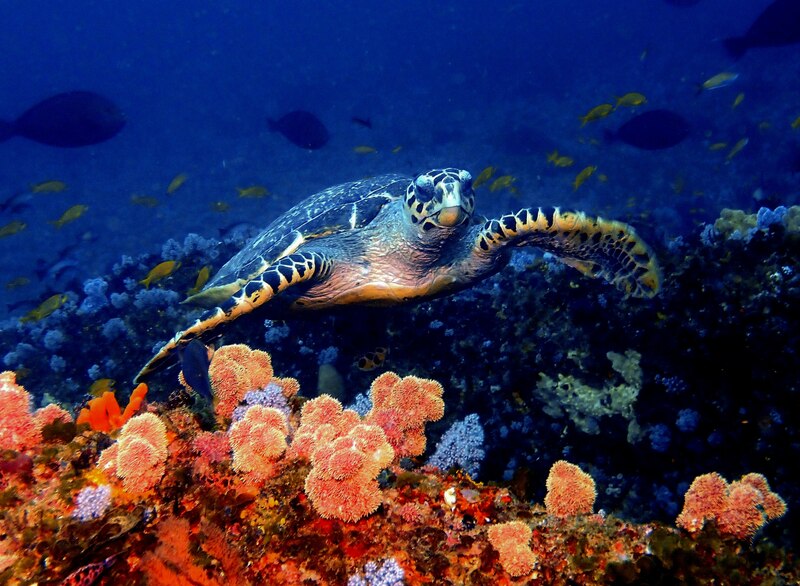 Our rocky reefs offer a wide variety of colorful and vibrant fish and many other species that provide a good representation of diving in the Indian Ocean. On all dives, you may see mantis shrimps, scorpion fish, moray eels, crayfish, many turtles (loggerhead, green, hawksbill, even the endangered leatherback) and a variety of rays. 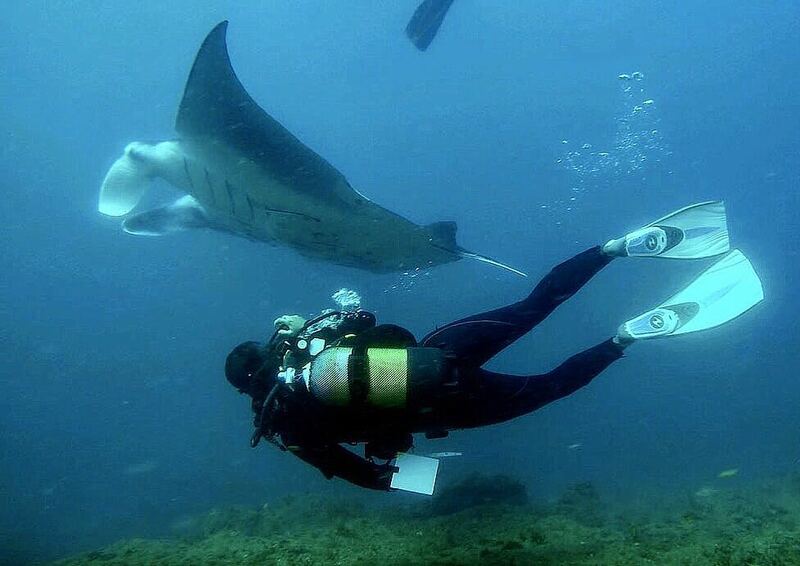 We are fortunate to have Manta cleaning stations where we can encounter both species of mantas – Oceanic (birostris) and Reef (alfredi). It’s also a special place where you can find more than 200 different species of nudibranchs. June to October is humpback whale season and we have the opportunity to see these magnificent animals daily from the shore, the boat, and even in the water. Our deep reefs are full of pelagic fish, large schools of tuna, trevallies, barracudas and all kinds of rays and groupers. You might also encounter some legendary sharks (white tip reef shark, zambezi (bull), etc.) and sometimes we are lucky enough to cross paths with a majestic whale shark. Bottlenose and humpback dolphins are also commonly seen. Zavora also has two wrecks – one lying at 53m for technical divers (the Klipfontein) and another, (Rio Sainas) at 32m for recreational divers where we can commonly see huge brindle bass.